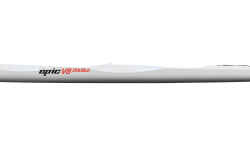 Even though it is stable and user-friendly, the V8 Double has the look of a racing machine. 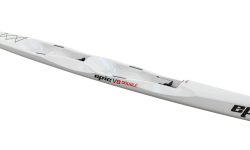 Ergonomic cockpits and Epic’s signature cutaways at the paddle entry allow for efficient strokes. 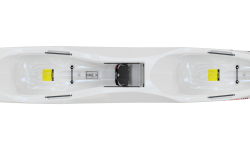 There are no hatches to break up the sleek lines of this craft, but rear deck bungees and bottle holders are included. 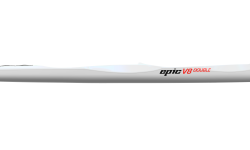 As you’d expect from Epic, the V8 Double comes with fully adjustable footbraces and the revolutionary Epic bailer in each cockpit.